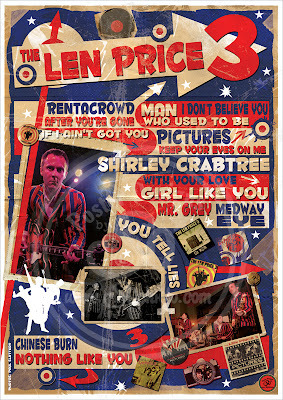 The superb Rock 'n' Roll Artist, Sophie Lo, has designed this fantastic poster for The Len Price 3. It's a design that really highlights her talent for capturing a band's sound and image in graphic form. 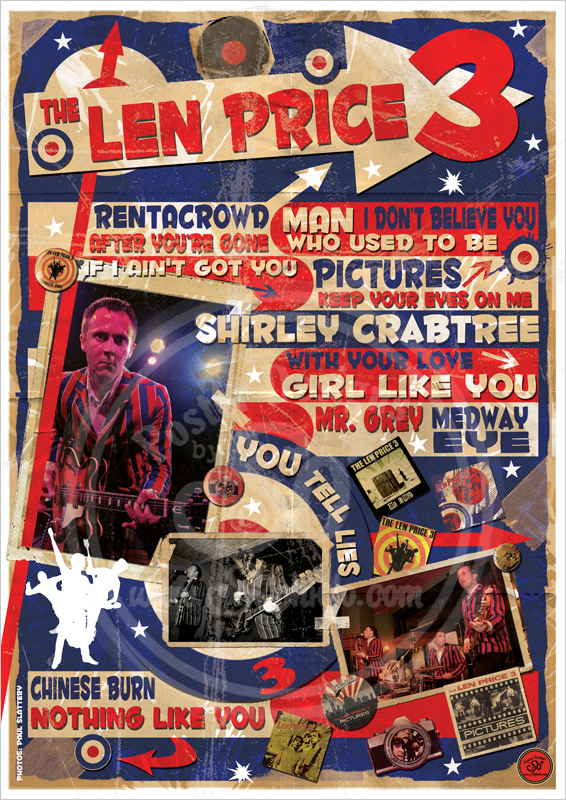 The poster also features photos by rock photographer, Paul Slattery, oh and one of mine too! A limited amount of A3 size posters will be available for sale at the band's headlining show at The Half Moon in Putney on May 04th. If you wish to reserve a copy signed by the band then please email me at retromanblog@gmail.com (for collection at the gig only). If you cannot make the show and would like to order via the internet, then please check out Sophie Lo's excellent Web-site and Poster Store - I'm sure you might be tempted by some of the other goodies there...! Sophie Lo's Exhibition at Rough Trade East Record Store in London ends next week on May 03rd, so it's the last chance to see the great artwork on display there.